Today was the day of the funeral, i was doing better,but i knew this was going to kill me. I watched as the clouds rolled by as we drove through town to the cemetery.I felt a gently squeeze on my hand, i looked over at Mark as he drove, he had grabbed my hand. His thumb rubbing over it reassuringly. "Jack..How are you holding up buddy?" I sighed squeezing his hand gently back. I looked out at the clouds again. "I don&apos;t know..I-I just hope i don&apos;t break down...I want to be strong..for her. "I felt mark squeeze my hand again as we rounded the corner through the gate to the cemetery. I could already feel my throat closing up. 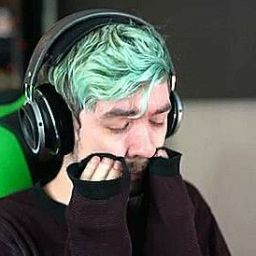 "Remember jack..Its okay to cry it just shows you loved her...and there is nothing wrong with you that she was your mom. "I nodded as we pulled to a stop, i could already see the grave faces as we stepped out of the car. Mark let go of my hand, i wanted to grab it again just to feel safe but i knew it would arouse suspicion. i grabbed the bouquet of her favorite flowers, white lilies, we had bough them to place on the coffin. I took a deep breath holding the flowers close,every step toward the funeral killing me mentally. My throat closed and i felt my tears warm my eyes, i tried to take a deep breath but the site of the coffin about to be lowered make it it hard. i took my place near the front closest to her coffin. i was the closest family she had, Of course mom had siblings but she rarely connected with them so they were distant. I closed my eyes trying to breath calmly,as the priest took his place at the top of the coffin to speak. "You see that big fluffy cloud Sean? your granddaddy is up there watching you." Another tear rolled down my cheek as i heard her soft words speaking,my throat hurt so much..
"But ma wouldn&apos;t he fall?" "no. see Sean when your up there you&apos;re an angel.. your job is to watch us down here." I tried to steady my breathing but my emotions were building..I needed to be strong for her. "Really? ma that sounds cool! when you go up there will you watch me?" "Sean, no matter where i am, or if i&apos;m here or not i will always,always watch you cause i love you so much.."  Her soft words filling my mind, i looked at the coffin as the priest finished, he looked at me and nodded. I wiped my tears placing the flowers on the coffin. after i placed them My throat closed again and more tears spilled, but i backed up. the coffin began to lower, my ma joining the beautiful earth, god i hope my ma enjoys being a angel and spreads her wings over me cause i miss her so much...so much. I sat at the kitchen table looking over the cards i had received from family. i sighed they all practically said the same things"Sorry for your lost Sean," I sighed throwing the cards aside looking out the window. the clouds moved gently across the sky allowing the wind to take where ever. i wish i could just leave like clouds do..but if i left what would happen to mark? speaking of mark where was he? i got up from the table and began to walk around the house lookin for him. As i walked around looking i heard his voice from my room, i made my way down there listening to him. "Yeah, i know. but i would like to request permission to remove him from school due to the family emergency....uh huh. i know but as he teacher i think it would be best for him. ...Okay..yeah um...Sean Mcloughlin. yes. thank you. "I frowned a little. what as he doing. i opened my door seeing him hang up. he ran a hand through his hair. "Taking me out of school?" he turned surprised to see me. "Oh i didn&apos;t see you there jack." i sat down on the bed and began to mess my sleeve heme as i watched him waiting for a answer. "Who was that?" "Oh that was the school. i um signed you out of school so you could recover without the stress of your peers.&apos;&apos;I nodded continuing to mess with my sleeve. "Oh Okay...well what will i do now.. i cant stay here, i look around and i&apos;m just reminded of her..." mark sat down next to me smiling softly. "I was thinking maybe we could get maybe Felix and cry and one of my friends and go camping.. some good fresh air could help clear your mind. "I smiled he had everything planned. "Yeah that sounds good..."it was a good idea..I could recover in time and heal..and not having to worry about school will make it better. I just miss her so much already..